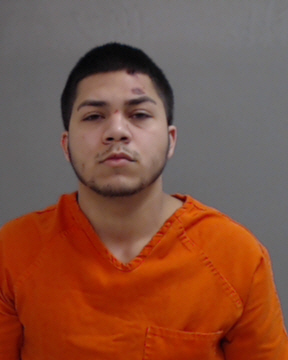 McALLEN — A twenty-one year old driver is behind bars after striking a utility pole in the early morning hours Saturday, killing his two passengers. Scottie Lee Ochoa was arrested Nov. 17 on two counts of intoxication manslaughter for the deaths of Christian Jordan Guzman, 29, of Alamo and Taylor Nicole Crouse, 21, of Donna. The Donna man is currently being held in the Hidalgo County jail on a $600,000 cash surety bond, according to the McAllen Police Department. Witnesses told McAllen police that the 2015 Ford Mustang Ochoa was driving went through the intersection of S. 2nd Street and W. Nolana Avenue at a high rate of speed shortly before 2 a.m., struck a utility post and rolled over multiple times before it came to a stop, according to the probable cause affidavit. Guzman and Crouse died at the scene. A McAllen detective who arrived to the scene “observed Ochoa had slurred speech, had an odor of alcohol emitting from his breath and had glossy eyes,” the affidavit states. The second degree intoxication manslaughter charges are punishable by up to 20 years in prison if convicted. The cause of the collision remains under investigation, McAllen police said Monday.